With twenty-five ships across seven classes, Royal Caribbean sails to ports in five continents, providing sailing experiences from the exotic to the dynamic! 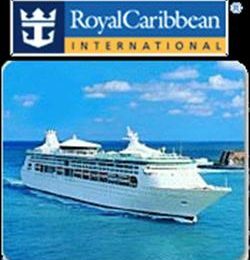 Come Seek the Royal Caribbean, offered exclusively to you by Casino Junket Club! Alaska – From wilderness and wildlife to awe-inspiring glaciers, Alaska is a land of natural wonders. Bahamas – Swim, sail, snorkel or just snooze on these beautiful island beaches. Bermuda – See pink-sand beaches, pastel houses and shorts in every shade. Canada/New England – Retrace the steps of history along quaint cobblestone streets. Caribbean – From snorkeling and swimming to shopping and golf, the Caribbean is the ultimate outdoor playground. Europe – Step back in time at the ruins of Pompeii or in the museums of Paris. Hawaii – Witness nature at her most extravagant, from fiery volcanoes to cascading waterfalls. Mexico – Explore beaches, deserts, mountains and cities. Mexico has it all. Pacific Northwest – Discover wild outdoor beauty amid bustling cosmopolitan cities, on the same cruise vacation. Panama Canal – Cruise through one of the most incredible man-made wonders of the world. Transatlantic – Sail off into the horizon on a cruise across the Atlantic ocean.